Setting up housekeeping . . . 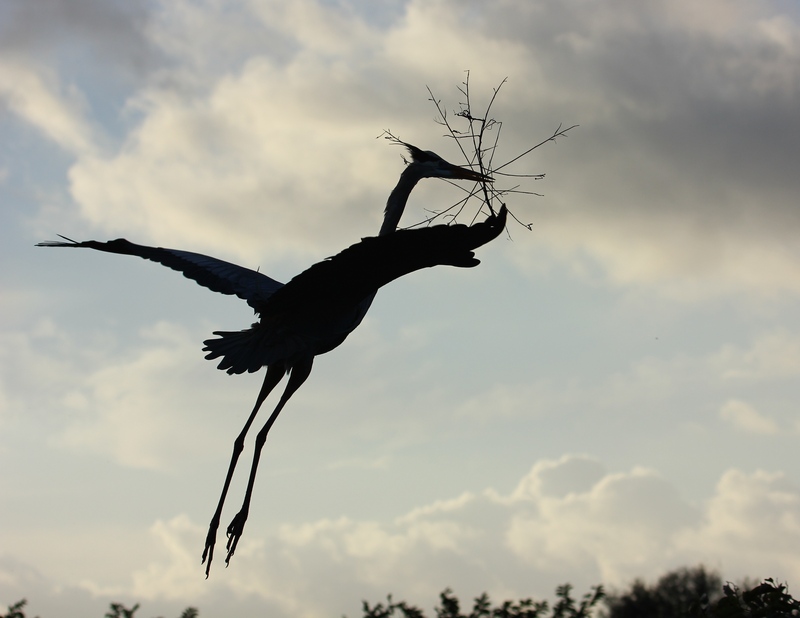 This beauty above is one of the magnificent Great Blue Herons who court and mate and raise their young in our local Wetlands. Bringing yet another branch to the nest. . . . 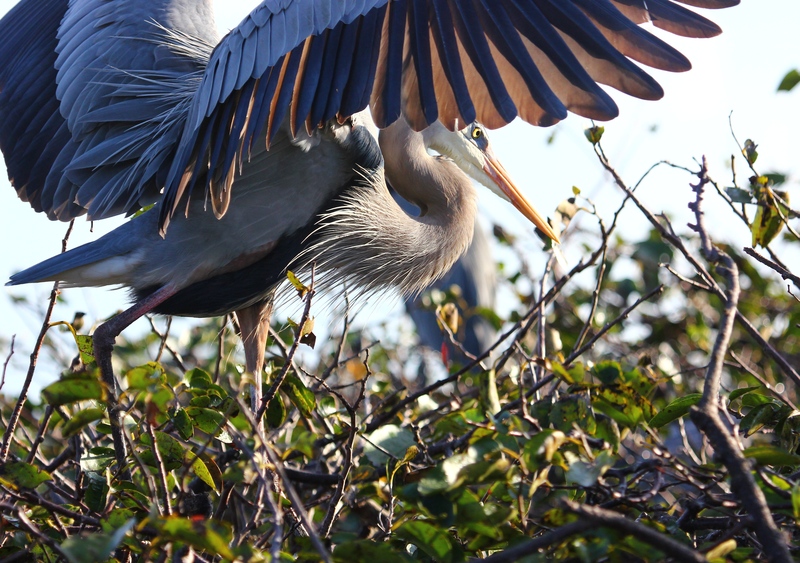 This gigantic male Great Blue Heron was en route back to his mate , who was waiting on the nesting island. It was an overcast morning earlier this week, and he appeared as a silhouette against the sky when aloft, just before he touched gently down. A moment later, he landed and handed over the new stick to his lady friend. It is absolutely mesmerizing to watch them as these enormous birds negotiate the space to assemble their nest in just the right way. They move the sticks from place to place, poke at the nest area repeatedly, and shift their positions to make room for one another. Within a few minutes, the male is off again and returns a short time later with more nesting material. 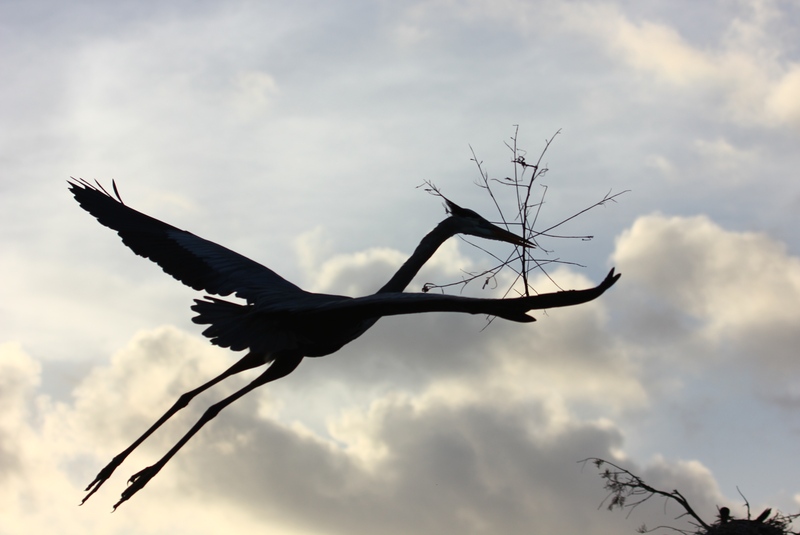 He often makes loud guttural noises as he approaches, and once again proudly hands over his branches. The female often nods and stretches her long neck in enthusiastic approval. 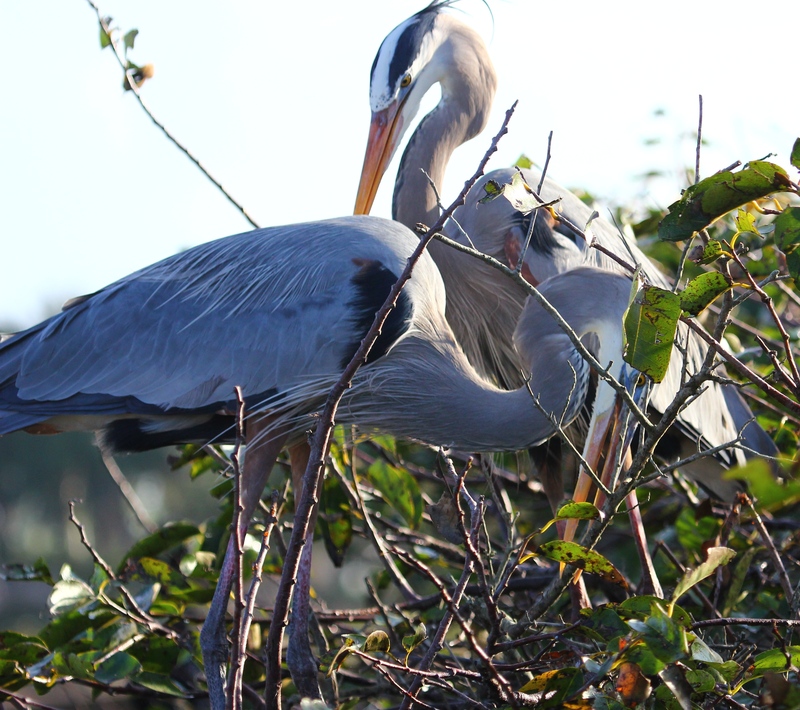 It can be comical to watch these huge birds try to maneuver about on these skinny tree branches. Sometimes your wings are just too darn big! « What is this bird doing here?? Thanks – They are wonderful in person ☺️! Yes – Great point, Sonja . . . So true! The nests of some birds remain intact in the trees for years, even if they aren’t actually used in subsequent seasons. 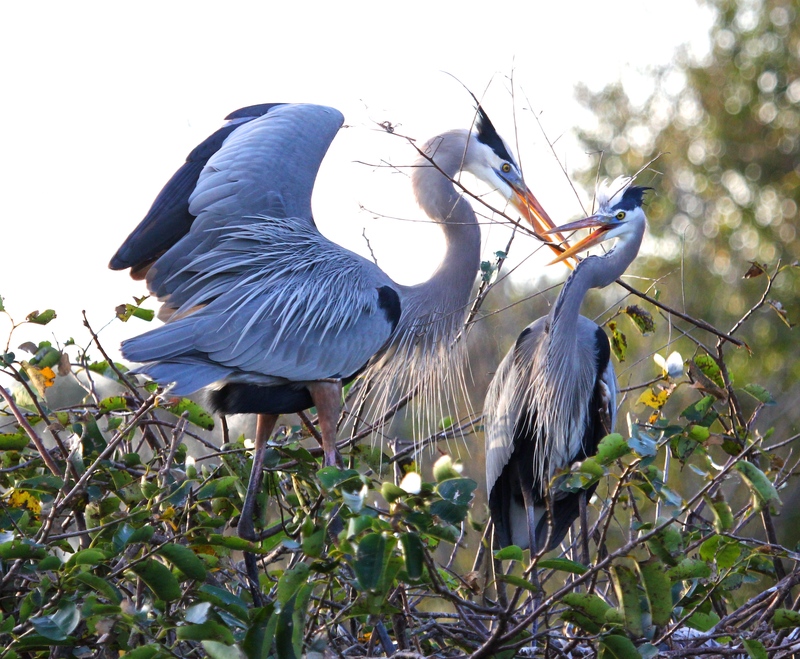 Beautiful birds, beautifully shot! 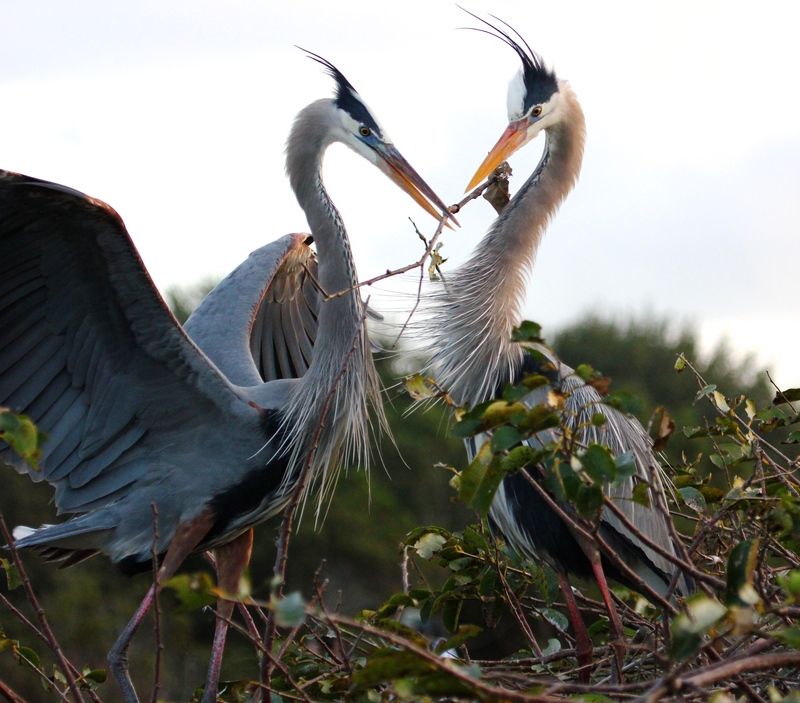 These Blue Herons are stunning birds! I truly appreciate your kind feedback. They are such magnificent creatures, and we’re so lucky to see them throughout their nesting season. Thank you for sharing this very sweet activity, and your photos are exceptionally beautiful. Thank you for your sweet comments, Jet!